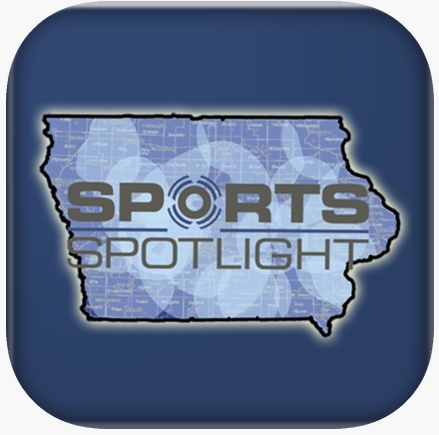 Hello, once again sports fans and welcome to another edition of Gildshire Sports Spotlight. A big, BIG, weekend is ahead, filled with some of the most important games of the entire football season. Conference championships are on the line in college, and Sunday’s reveal show on ESPN will tell us who makes the championship field of four. After those four, the dominoes will fall on the New Year’s Six bowl games and the other six dozen or so bowl games under them. Two key matchups in the NFL grab our attention, as well, so let’s get this party started! All times are eastern because people on the west coast are used to subtracting. Huskies and Utes Friday night for the Pac-12 crown. Friday, 8 pm at Levi Stadium in Santa Clara, California. When the Huskies upset Washington State in last week’s snowy Apple Cup, it set up this Pac-12 Championship Game rematch from a game played Sept. 15. Washington won that one by 14 and are installed as a five-point favorite in this one. Both teams are improved, and the first game was played in Salt Lake City while this one is at a neutral site. We think there will be too much Miles Gaskin through the center of Utah’s line. Take Washington and give the points. Longhorns and Sooners renew hostilities, this time for conference supremacy. Saturday Noon, at AT&T Stadium in Arlington, Texas. Another rematch, this time in the Big 12 Championship Game. Texas upset Oklahoma 48-45 in a thrilling Red River shootout on Oct. 5. Since then, the Sooners’ dual-sport star Kyler Murray has been nothing short of sensational. The future member of the Oakland A’s may be too much in a game that might break the 100 point mark. Just a slight lean toward the eight-point favorite Sooners. Georgia looks to upset Alabama in the SEC title game. Saturday 4 pm, at Mercedes-Benz Stadium in Atlanta, Georgia. Can anyone south of the NFL slow down the Crimson Tide? That’s the task that faces Head Coach Kirby Smart and his Bulldogs. Heisman favorite Tua Tagovailoa triggers the most-explosive Alabama offense in its storied history, and the defense is, almost, up to its old tricks. The Bulldogs have a powerful, ball control, running game and will try to milk the clock. While the Gildshire Sports Spotlight would love to see this one go the other way, we’re not stepping in front of this Tide train. Give the 13.5 points and stand in awe of one of college football’s historic teams. The MWC offers up a competitive championship matchup Saturday afternoon. Saturday 7:45 pm at Albertson’s Stadium in Boise. Don’t let this Mountain West Conference Championship Game fly under your radar, because it may be the most competitive of the lot. Earlier this month, the Broncos beat the Bulldogs by seven in a game played on the same field as this one. In the weeks since that game, Fresno has really found its stride. The oddsmakers realize that and have installed Boise State as a scant 2.5 point favorite. We’re predicting an upset and for the Bulldogs to win this one outright. The Big Ten Conference Championship Game is set for Saturday. Saturday 8 pm, at Lucas Oil Stadium in Indianapolis, Indiana. Two teams at the top of their game meet in Indy for the Big Ten Championship and, perhaps, a chance to crack the championship field of four. Gildshire Sports Spotlight’s eyes were opened last week when Ohio State bludgeoned arch-rival Michigan, putting up 62 points in the process. Buckeyes’ QB Dwayne Haskins has wiggled his way into the Heisman conversation with a second-half of the season that has been spectacular. Ohio Stet is a 14-point favorite in this one. Will they suffer a letdown after the win over Michigan? That is the only way Northwestern can stay in it. Gildshire Sports Spotlight would like to finish the college football day by watching a competitive game, but doubt that can be the case. Take the Buckeyes. AT&T Stadium hosts the Big 12 championship shootout, but not after Saints-Cowboys Thursday night. Thursday 8:20 pm, at AT&T Stadium in Dallas. Perhaps the best NFL game of the weekend gets underway before the weekend even starts. NFL’s Thursday Night Football schedule is much improved since Fox took over most of the franchise. This week, the red-hot Saints visit the almost-as-hot Cowboys in a game with playoff and home-field implications. Drew Brees appears to have defeated Father Time, and the Gildshire Sports Spotlight believes he will defeat Dak Prescott. Will he defeat Prescott by 7+ points? We think perhaps not. Take the Saints to win the game and the Cowboys to cover the number. The Saints travel to Gillette Stadium to play the Pats. Sunday 4:25 pm, at Gillette Stadium in Foxboro, Massachusetts. Apparently, the rumors of the Patriots’ demise are overstated, as they will almost certainly win 10+ games for a record-breaking 16th straight season. Some of that is due to their greatness, and some is due to the historically weak division in which they get to play. This week, the Vikings come to town with a load of import on their minds. The NFC North is a division up for grabs. Does the Gildshire Sports Spotlight trust Kirk Cousins over Tom Brady, even with a five-point head start? We do not. Take the Pats and give the fiver. Those are the games on Gildshire’s Sports Spotlight’s mind this weekend. Enjoy the games that move the needle for you. By the way, good luck to Fabiano Caruana as he attempts to become the first American (well, kind of American. He was raised in Italy) since Bobby Fischer to become the world chess champion.